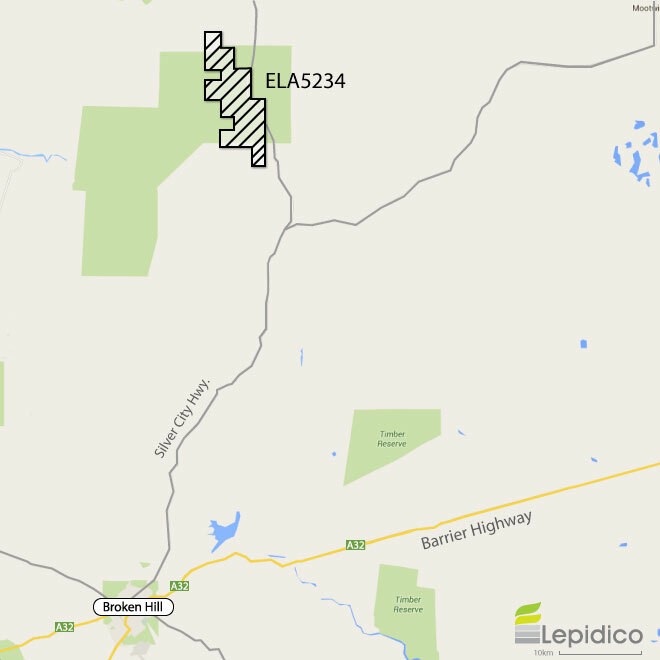 Through its wholly owned subsidiary, Mica Exploration Areas Pty Ltd, Lepidico has recently submitted an application for an Exploration License (ELA 5234) relating to ground positioning near Broken Hill, NSW, known as the Euriowie prospect. Historical exploration of this prospect targeted tin mineralisation at a pegmatite which outcropped over 1,400 metres and was between 1 to 8 metres thick. These historical workings also contained visual sightings of lithium bearing micas and elevated levels of lithium in rock chip samples. Once the exploration license is granted, Lepidico plans to develop a work program to explore the Euriowie prospect.